MCLEAN, VA--(Marketwired - April 22, 2015) - Attain, LLC, a leading management, technology and strategy consulting firm, today announced that Susan Morrison has been admitted to its partnership, effective March 1, 2015. As a partner, Ms. Morrison will be responsible for the leadership and growth of Attain's Federal Health practice. "We welcome Susan to the partnership with appreciation for her steadfast service, and we look forward to her ongoing efforts to provide the best transformational services and solutions to our Federal Health clients and to position Attain for continued growth," said Manish Agarwal, president of Federal Services at Attain. 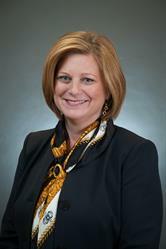 Ms. Morrison joined Attain in July 2012 as a director within the firm's Federal Services division. In that role, she laid a strong foundation for its Federal Health business, with key client wins that have included work with the National Institutes of Health, Centers for Disease Control, and the National Cancer Institute's Center for Biomedical Informatics and Information Technology. She also was instrumental in making Attain one of the most successful companies on the CIO-SP3 Small Business contract vehicle, for which the firm is currently recognized by the Government as number two among 154 companies. With a heightened focus on providing precision medicine, advanced informatics, and research to improve health outcomes, this is a critical time for the U.S. health care system. Through Susan's leadership, Attain will continue to provide the services and solutions to support the vital mission of our nation's Federal health agencies. "Susan has led several of the strategic initiatives that are building and differentiating our company and, as a trusted advisor to our clients, she has made Attain's Federal Health business one of our fastest growing and biggest business sectors," said Greg Baroni, chairman and CEO of Attain. Before joining Attain, Ms. Morrison worked in leadership roles at Capgemini Government Solutions, where she was primarily focused on health care clients. Previously, she served in various business development and delivery roles at Oracle Corporation and Northrop Grumman Corporation. Ms. Morrison is an active participant in several industry organizations, including ACT-IAC, Women in Homeland Security, Women in Defense, Women in Technology, and the Homeland Security Dialogue Forum. Ms. Morrison has served as a co-chair and chair of TechAmerica's MHS Vision team, and is a recipient of the TechAmerica Vision Leadership award. She is also a winner of the Armed Forces Communications and Electronics Association's SuperNova award. Based in McLean, Va., Attain is a leading management, technology and strategy consulting firm comprised of innovative problem solvers who deliver tangible results to address today's complex public sector, health, and higher education challenges. Attain's transformative business and IT solutions and services deliver market-leading results to our customers in the government and health markets, as well as the higher education, academic medical center and non-profit communities. For more information, please visit www.attain.com.